Digital technology is playing a transformative role in veterinary pathology. Pathologists who screen for disease, diagnose illness and monitor disease progression, are ideally placed to support veterinary practitioners. 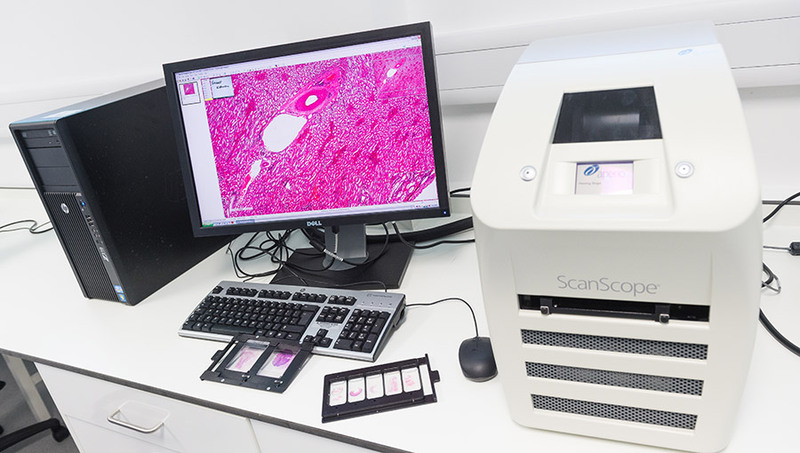 At the University of Surrey, we use digital slide scanning equipment in our histology laboratory, in the education and training of both veterinary students and veterinary practitioners. This evolutionary technology has the capacity to support local veterinary practices - providing virtual pathology services and enabling consultations and second opinions from specialists around the world. Digital pathology encourages the sharing of information and a more efficient use of data, such as animal patient health records. It also enables us to extract and analyse data in order to understand the links between tests and treatments, to maximise outcomes, and to provide important information that can be shared between multidisciplinary teams.